For 85 years, Our State has been highlighting the people and places that make us proud to call North Carolina home. The magazine was The State, and the publisher was Carl Goerch, an eastern North Carolina newspaper journeyman who had achieved some renown as the broadcaster of Doings of the Legislature on WPTF radio in Raleigh. The effort has proven an effective one. Today, many more North Carolinians are sharing our vision. 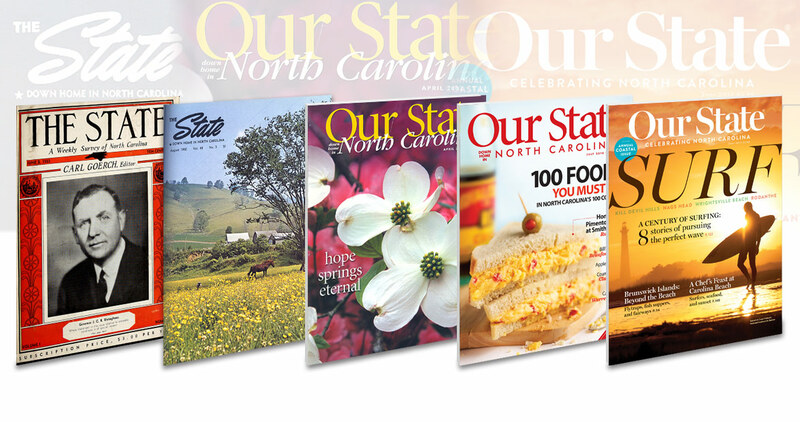 While most magazines can expect annual subscription renewals at about 36 percent, Our State has seen renewals of more than double that amount and a fourfold increase in readership — a clear indication that the love of North Carolina Carl Goerch tapped into 85 years ago is alive and thriving today. And from about 23,000 subscribers in 1996, the number has grown to more than 170,000. Aside from being our 85th anniversary year, 2018 is also special for being “Year One” of a new chapter in our history. In March, Mann sold the company into an ESOP, or employee stock ownership plan. While he remains the publisher of Our State, he is no longer the owner — the employees are. Thanks to this incredible opportunity, Mann has ensured that the magazine will continue celebrating North Carolina far into the future.